Our main goal is to make you happy by giving you the healthy, straight, beautiful smile that you've always wanted. We understand that choosing to start orthodontic treatment is a big decision, and we respect your reasons for wanting to improve the way you look and feel. Our practice will work with you every step of the way to make sure that your orthodontic care is as rewarding and informative as possible. Our practice utilizes the latest technology, offering a variety of safe and gentle treatment options to give you the customized, individual care you deserve! Our team will be glad to answer any and all questions you may have at any time. We will provide all of the information that you need to determine which treatment is right and comfortable for you. Please contact us at the office location thats best for you to schedule your initial consultation. You're one step closer to achieving the smile you've always wanted! After your consultation, we will schedule your appointment for records. At your records appointment we will provide a complete oral exam, X-rays, Photos and study models to determine which coarse of treatment is necessary. This appointment generally takes about an 30-40 minutes, during this time our team will explain every step to make sure that you are as comfortable as possible. Visiting the orthodontist is differnt for each patient and each visit. It can be about every four to ten weeks which is an important part of your orthodontic treatment. Our offices will work with you to make sure that your appointments are as convenient as possible. When scheduling appointments, please let us know what days and times work best for you. We understand that “life happens”! If you're running late or need to reschedule, please let us know right away and we will do everything we can to accommodate you. When you're ready to schedule your first appointment, contact our office and one of our friendly receptionists will assist you. We're looking forward to welcoming you to our Ortho Family! It is very important that you continue to visit your regular family dentist once every six months, especially during your orthodontic treatment, for teeth cleanings and routine dental checkups. Some patients may even need to get a cleaning every three months. 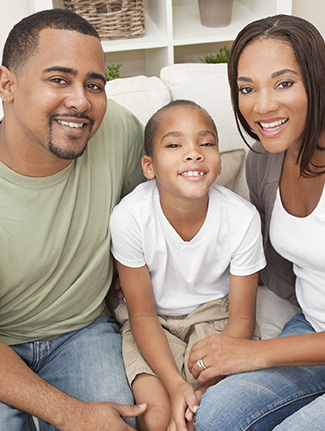 If extra dental care is needed, we will inform you right away and coordinate with your family dentist to make sure that you are receiving the best care possible.